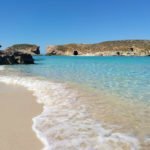 After reading a lot about it and visiting the country for 3 days, today I want to share with you a list with images and a map with the places of Malta that you can’t miss. I hope this information helps you to organize your trip. 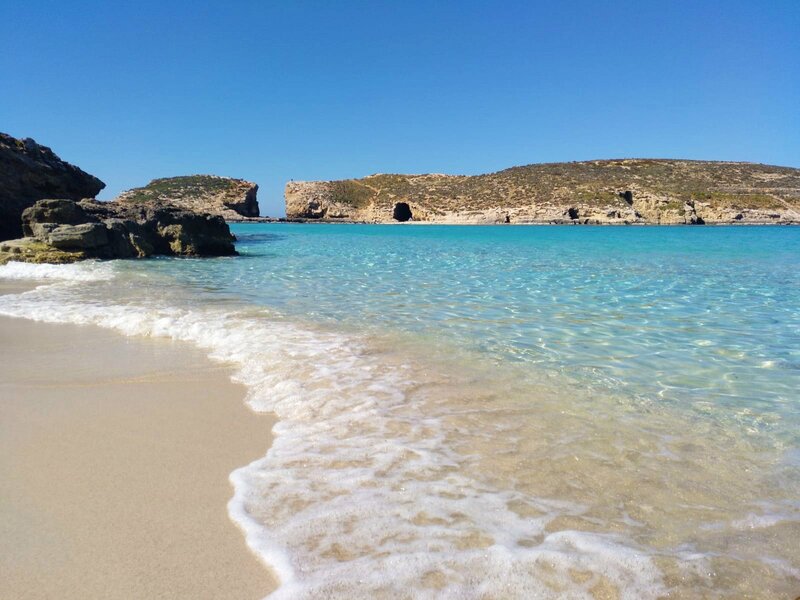 A small paradise of clear sands and transparent waters located in the island of Comino. For me, it’s a you-need-to-see-it-yes-or-yes. 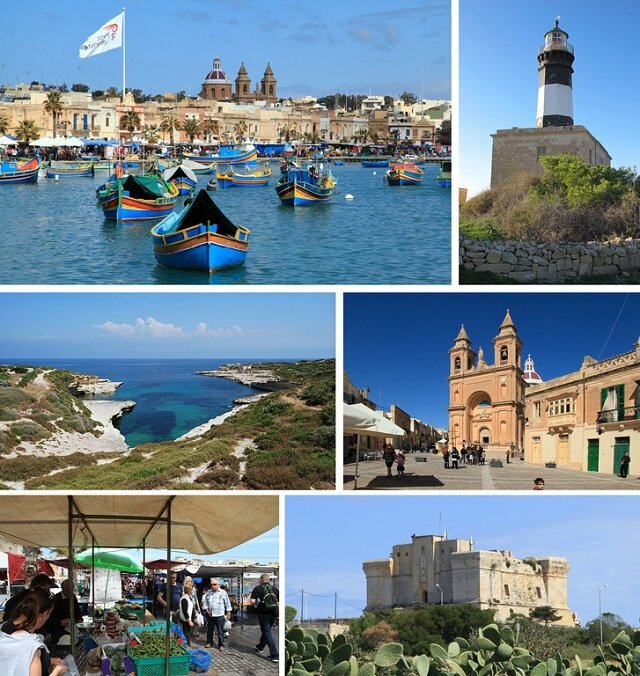 (*) To get there from Malta, you have to take a ferry from the port of Cirkewwa (north of the island). We did it with the company Co-Op for € 13 round trip on a small boat. 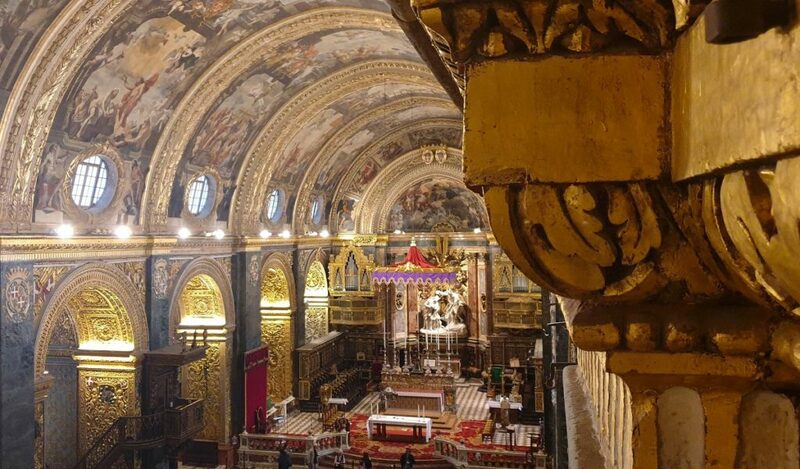 An awesome 16th-century cathedral with an interior decoration as you have never seen. It costs € 10 and they are worth it. Source: Xwejnusgozo – Wikimedia Commons (2015). It is the capital of the country and you have to visit it. I was particularly amazed by the size of the fortifications at the entrance to the city, the pits and the panoramic views of the sea. It’s another classic. Try to go with daylight (it is the top image of the previous montage). 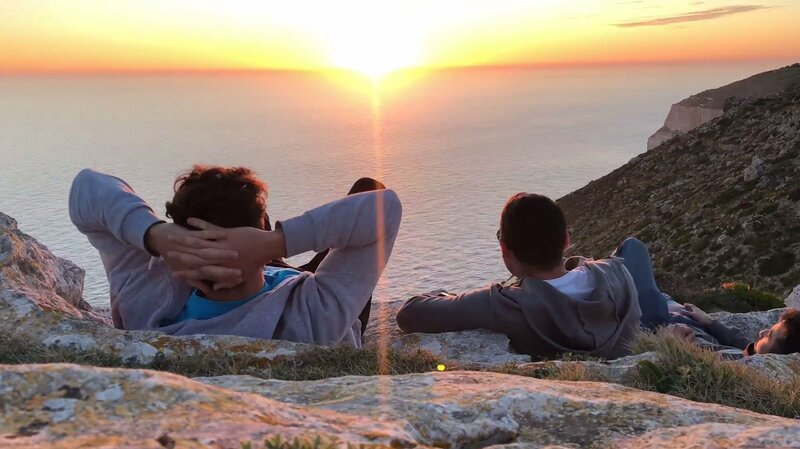 The PERFECT spot to watch the sunset. Looking to Tunisia, but nothing on the horizon but the Mediterranean Sea. Source: Joonas L. – Wikimedia Commons (2006). 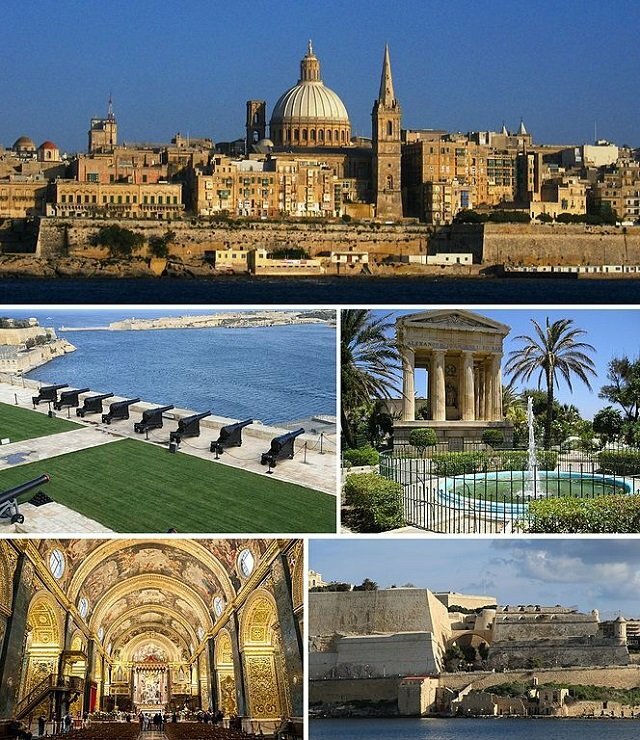 This is another typical postcard from Malta (quite bigger than you can expect seeing the photos). Source: Xwejnusgozo – Wikimedia Commons (2016). Fishing village where most of the country’s fish supply is obtained. It has special colorful boats and a huge market on Sundays. From here you can visit the famous St. Peter’s pool (see next recommendation). Besides being an ideal spot to relax and swimming (if you go during the warm season), this place has become famous for the Titti’s jumps. 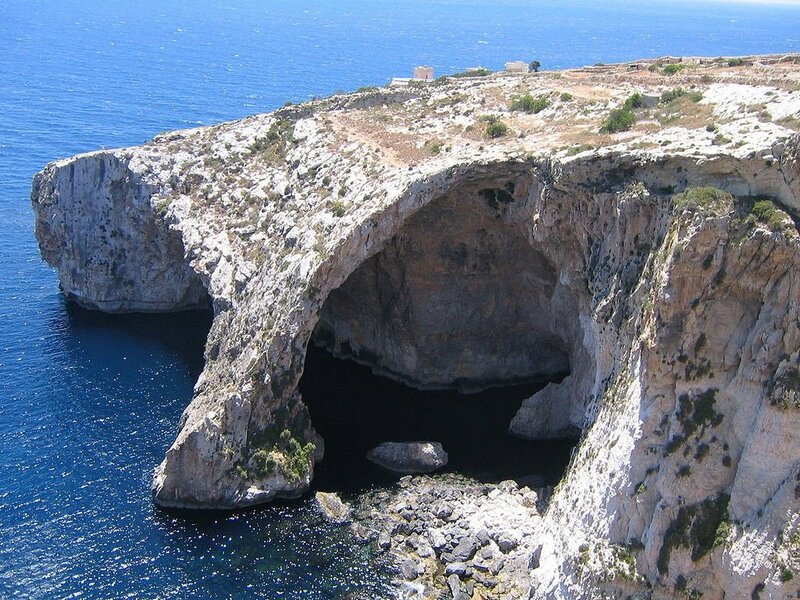 The party in Malta meets here. The density of bars/pubs/ clubs is overwhelming. Source: R Muscat – Wikimedia Commons (2014). 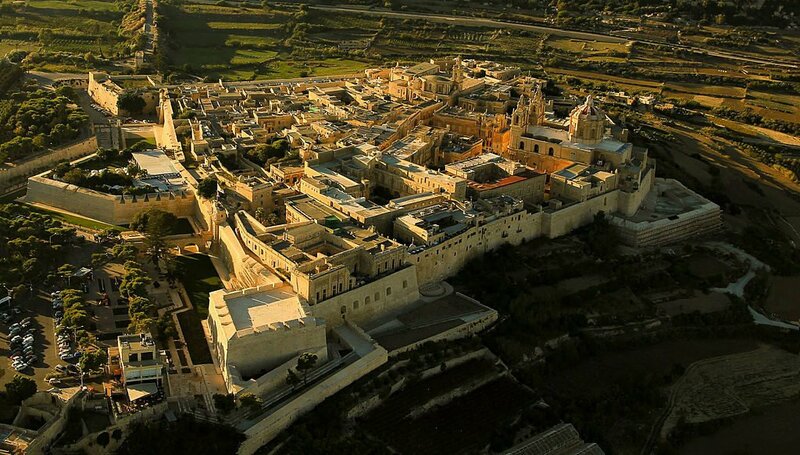 The “city of silence“, ancient capital of the island and a fortified city ideal for a stop on the road. (*) If you’re a fan of Game Of Thrones, google about it to check the scenes that have been recorded here. If you have any questions or want to add a recommendation, leave a comment! Which countries officially speak Spanish? Where is Google's headquarters located?